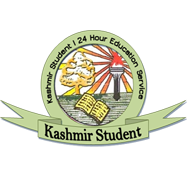 The Jammu and Kashmir government has been rocked by a number of scams and scandals recently, but the latest alleged CET paper leak scam does not only have the potential to embarrass but also have far reaching consequences on the future of education in the state. Sources in vigilance department say that the they have initiated a probe into the matter as how the papers were leaked. It is believed that the clouds of doubt are hovering over owner of a computer centre in South Kashmir who is believed to be the actual broker in this scam. He is also believed to be instrumental in the purchase and sale of the question papers. “Yes the top brass of Vigilance department has initiated a preliminary verification or a PV into the matter. Over the next week, the investigations will gather pace,” a top government official said. The sources also said that the vigilance team would also look into as to why the term of present chairman of the BOPEE was extended, despite the cabinet having recently appointed Prof R D Sharma, Dean academics, Jammu University as the next chairman of BOPEE. “Without the consent and involvement of higher officials such things can’t happen,” sources in BOPEE said. 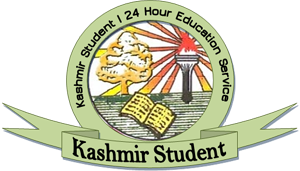 Sources also said that two years back the Vigilance Organisation had received similar complaints against the owner of the South Kashmir computer institute and also against a school teacher but the matter was not pursued. “I don’t know why we were not allowed to probe the allegations at the time. It seemed that the government was not interested. Now it has all come back to haunt us again”, said an official of the Vigilance Organization. Meanwhile parents of many children who had appeared in 2012 CET are seeking legal advice for moving the High Court for a judicial probe into this alleged scam. They are likely to appeal for pressing of criminal charges against the present BOPEE chairman. Most of the candidates who got benefit from this question paper leak racket belong from South Kashmir and the main kingpin allegedly involved in this scandal also belongs to the same area. Earlier, the similar incident of question paper leak in connection with MD entrance test came to limelight in 2003 and the BOPEE that time had cancelled the results. This latest scam of CET 2012, which has come to fore a week ago has other offshoots as well, with candidates claiming that most of the questions were wrong. Despite repeated attempts the BOPEE chairman Mushtaq Peer did not respond to phone calls.